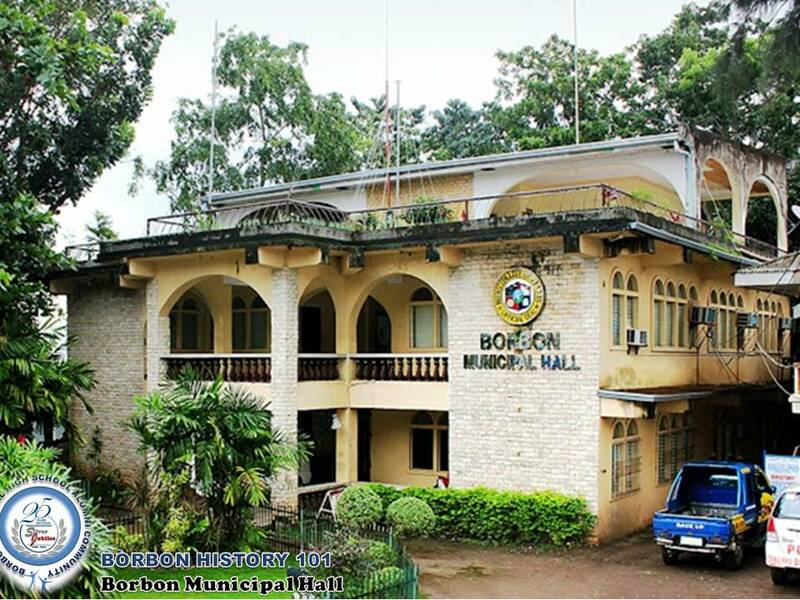 As a sequel to our topic Borbon History 101, we will bring you to our next stop, Borbon Municipal Building. But other than our local government unit, who can extend a yarn of clear-cut information about the history of our municipal hall? Our ‘katiguwangans’ we supposed. 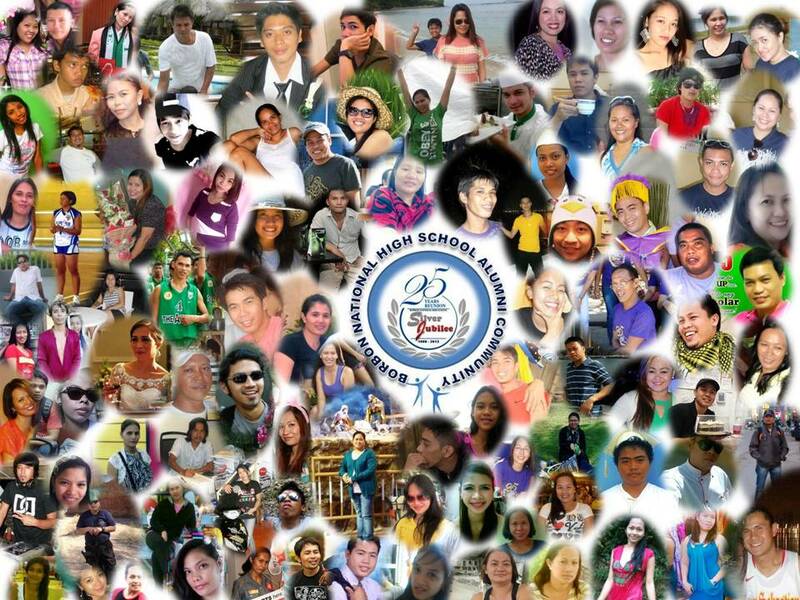 In this topic, we want to give a fair share of information gathered from our alumni community. We call it, ‘pinagtagpi-tagping istorya’. Now there goes our first question, “Is our municipal building a century old edifice?” The answer is NO! Our existing municipal building is a juvenile structure as it was obviously patterned to a modern architectural design inside and out. Therefore, it’s as contemporary as the pioneering graduates of BNHS, lol. According to some alumni, the first building in BNHS used to be the old municipal hall. LGU officials spearheaded by former Vice-Mayor Paz de Roda, with the support of Hon. Bernard “Butch” Sepulveda (Mayor) and members of the Sangguniang Bayan, converted the old building to a satellite school for Tabunan National High School in order to provide students in the municipal proper (coastal barangays) an easy access to high school education. It was later turned into a Municipal High School (known as BMHS), until it was officially named as Borbon National High School (BNHS) till present time. The old municipal building is located at the center of the town behind the heritage center and beside the St. Sebastian Parish Church. Before it was converted into a high school building, there’s also one familiar sight that most of our young generations have been concealed with the privilege to set their eyes on. It was the municipal tennis court. Yeah, right! Some Borbonanons were already fond of tennis long before. The only problem for most Borbonanons during that time was availability of tennis gears and equipment. But as I remember, there were tennis aficionados offering tennis lessons, bringing tennis stuffs during summer time to indulge the young and restless kids of Borbon into this kind of sport. But tennis (as a sport for Borbonanons) didn’t prosper anyway that is why the LGU decided to utilize the area by converting it to a more beneficial project, demountable buildings for BNHS instead. The best move by our LGU actually as more Borbonanon youth were given concessions to pursue high school closer to their homes. For the present Municipal Hall, it is quite sturdy and we believe it bodes well to last long. There housed the municipal offices and departments like the Office of the Mayor, Vice Mayor, Local Civil Registrar and Human Resource Management, Municipal Assessor, Administrator, Budget Officer, Sanguniang Bayan, etc. If you know when (exact date) our present Municipal Hall was erected, please share it here. It feels good to impart information about our town’s history and historical landmarks especially to the young generations of Borbon. So when our time is over, lol, they can also pass those information to generations after them. If you have interesting historical account about our peaceful little town, please share it here. You can email us at registered_nurse123@yahoo.com or you can send it directly to us vide facebook message at BNHS Borbon. 44,027 visitors to BNHS Alumni Blog Site. Thanks.